Diamond cargo trailers are built for the long haul. 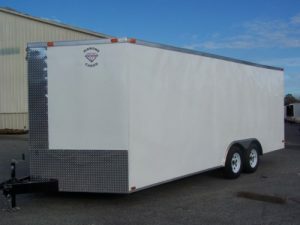 Steen Enterprises carries a big selection of Diamond Cargo Trailers to haul tools and gear, motorcycles, ATVs and cars. Cargo trailers keep your equipment and materials dry and out of the elements. 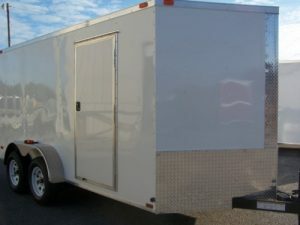 And adding your logo to the side of your cargo trailer is an easy and affordable way to promote your business. 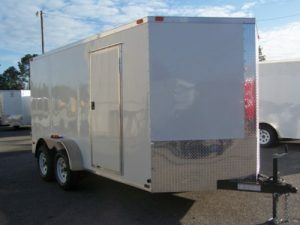 These tough trailers are available from 4-foot to 8.5-foot wide and depths from 8-foot to 34-foot long. 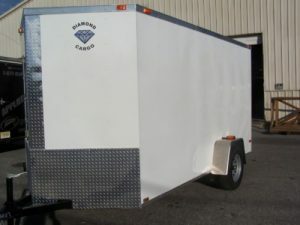 Diamond Cargo Trailers have an excellent fit and finish and are built with top quality materials, including steel tube frames for durability. 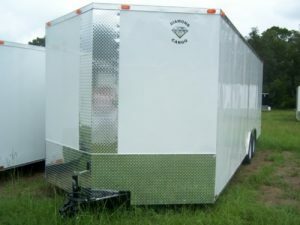 Built in Douglas, Georgia, Diamond Cargo Trailers are backed by a five year manufacturer warranty.